Walton International Group (USA) Inc. engaged etainia in broad range of services in support of marketing their U.S. community development business. 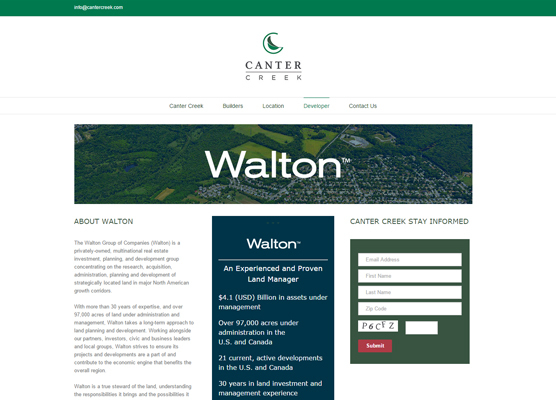 Walton is a privately-owned, multinational real estate investment, planning, and development group concentrating on the research, acquisition, administration, planning and development of strategically located land in major North American growth corridors. 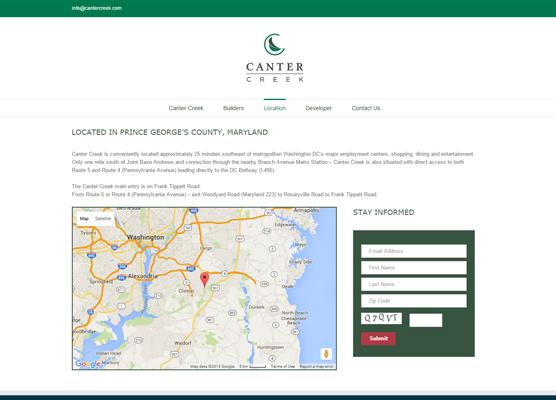 The first project we launched was for Canter Creek, a new residential community in Upper Marlboro, Maryland. 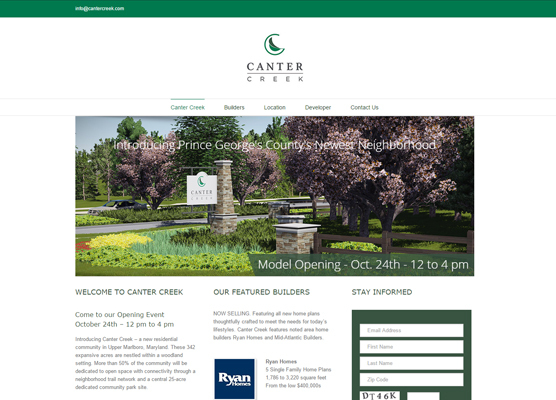 The micro-site provides basic information on the community plan, the residential builders and plans for development of a community park and other amenities. 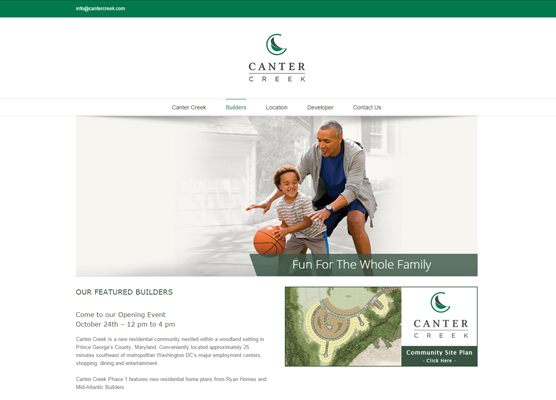 This first site established branding and layout design elements for the other communities being launched by Walton. Etainia provides ongoing maintenance, search engine optimization, strategy and hosting.